Paul is the editor and an author of two books: Social Media and Internet Law - Forms and Precedents (2018) and Intellectual Property Litigation - Forms and Precedents (2016) and both published by LexisNexis. 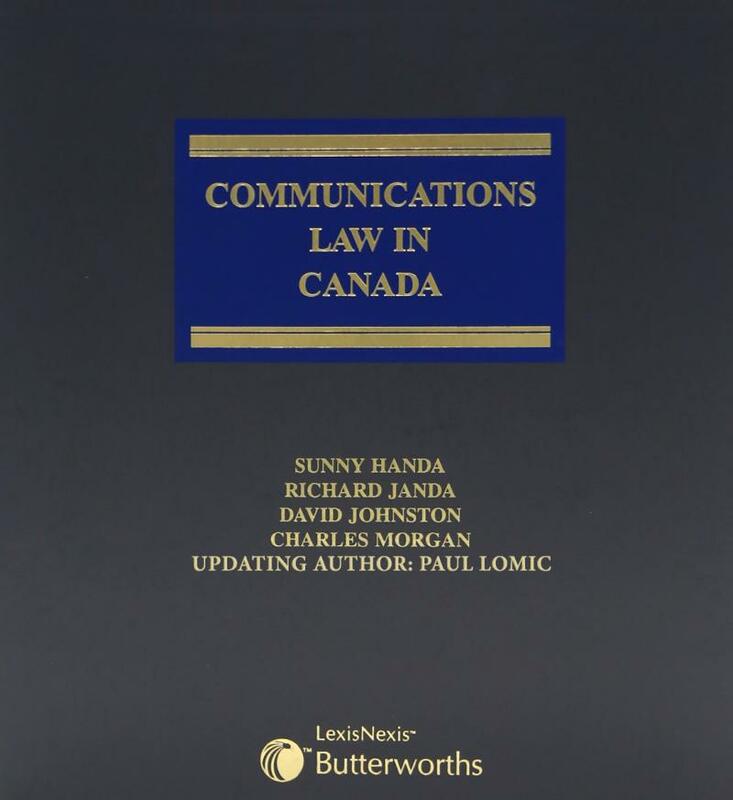 Paul is also the general editor of Communications Law in Canada (loose-leaf) by LexisNexis. To pre-order from LexisNexis click on this link or the book cover below. Examines the legal frameworks under communication law currently employed to regulate traditional forms of both telecommunications and broadcasting. It also explores how the dramatic evolution of convergence technologies in the context of an extremely competitive business environment has forced a re-evaluation of the regulation of communications. The full text of relevant legislation, regulations and treaties is also included.